Garlic is not only one of the most evocative and flavoursome of vegetables, it's also the destination allium for its health benefits. It has been known for centuries that garlic can help with a multitude of ailments from the common cold to managing high cholesterol. Of course many people use garlic supplements but there's no substitute for the real thing and of course it adds the most wonderful flavour to all manner of savoury dishes. We supply garlic in a variety of forms. Standard loose or netted packs, conventional or organic, as well as garlic grappes, a 250g string of garlic which is hand plaited in Spain. We have also grown garlic on our own farm with varying degrees of success. Unfortunately Lincolnshire's climate doesn't lend itself to particularly well to high quality garlic production but we keep trying! 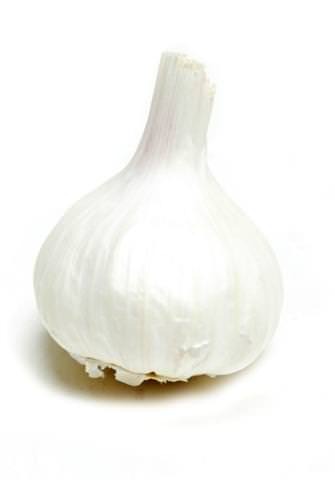 We have also supplied more exotic types of garlic in the past. These range from solo garlic, a singe clove bulb originating from China, garlic scapes, which are the fresh flower head stem formed when the garlic is growing, and smoked garlic.